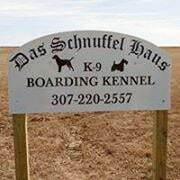 Das Schnuffel Haus near Pine Bluffs might be likened to a well-appointed canine hotel. Ray Gamel and his wife, Uschi Erdmann-Gamel, created a unique boarding experience for dogs. 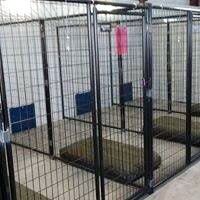 The facility consists of five indoor kennels, each 50 square feet in size. 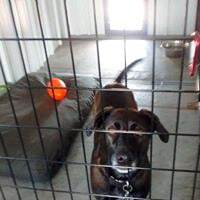 Half the floor in each kennel is warmed by individual, thermostatically controlled radiant heat, while the rest is unheated: “So if a dog wants to lie on a cool floor, they can lie on a cool floor,” Ray said. 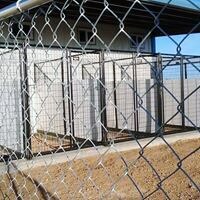 Each kennel has access to a 50-square-foot, open-air, undercover kennel, which in turn can be opened into a 1,000-square-foot dog run. Ray and Uschi also walk the dogs, on leash or off, depending upon an owner’s preferences, at least twice a day. Ray and Uschi provide whatever special foods, medications, and even toys and blankets dog owners might bring along to make a hound’s stay as pleasant as possible. If medical issues arise, a veterinarian is contacted immediately. Stays at Das Schnuffel Haus are billed to clients just like a hotel visit; that is, by the night instead of by the day. 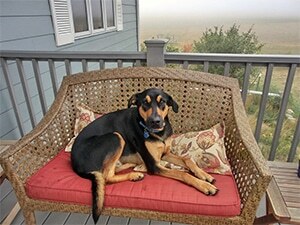 Single, double, and triple occupancy rates are available to accommodate a variety of canine families. Length-of-stays have ranged from a day or two up to a month. “We can comfortably handle a dozen dogs,” Ray noted. Since opening in March 2016, Ray said the operation has been consistently in the black. “We’ve been profitable virtually since day one,” he said, adding that the occupancy rate for the first 12 months was about 68 percent. Das Schnuffel Haus, which means “The Puppy House” in German, grew out of a fundamental reality about life around Pine Bluffs. “Everybody out here has a least one dog and usually two or three,” Ray said. 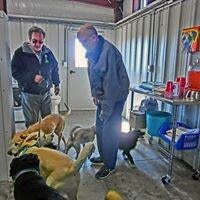 But aside from a local veterinarian clinic, there was no place to board dogs short of going to Cheyenne or Kimball, Neb. Ray facetiously refers to Das Schnuffel Haus’s market as the “Pine Bluffs metropolitan area,” including such communities as Cheyenne, Carpenter, Albin, and Kimball. Despite a 40-mile drive to the facility, Joyce and John Pleier of Cheyenne prefer Das Schnuffel Haus to kennels closer to home, both for the sake of their two dogs and their own peace of mind. 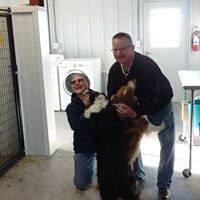 Tom and Sue Watson of Pine Bluffs have been entrusting their Gordon setter, Finn, and their pit bull, Bernie, to Das Schnuffel Haus almost since the facility opened. During the start-up process, Ray contacted John Privette, the Wyoming Small Business Development Center Network’s regional director for Goshen and Laramie counties. Ray thinks contacting the SBDC would be a smart move for any new business.  In his case, having SBDC’s resources available to help him formulate a business plan was especially useful.